As compared to linoleum or vinyl , carpets and rugs are perhaps much tougher to clean, because they require thorough vacuuming and shampooing. While plain vacuuming will only lift or scoop up dirt on the surface, the only other method for cleaning the rug's inner fabrics is by shampooing it. 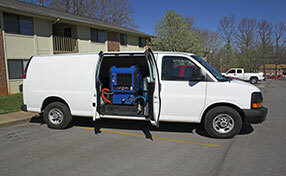 Here's how do home carpet cleaning using a conventional carpet shampooer. The first major house carpet cleaning and shampooing step would be to thoroughly vacuum the rug, and spray the stained or blemished areas with a conventional pre-shampoo treatment mixture. Next, fill a bucket with lukewarm water and place it into the carpet shampooing machine. In some shampooers, you may need to remove the container which catches used water. 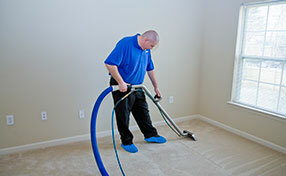 Next, pour in the recommended level or amount of residential carpet cleaning shampoo. When using the shampooer, first place the equipment at the room's farthest corner, and turn the machine one. The machine will vibrate a bit because they have brushes at the front which clean the rug's fibers. Next, press the button which triggers the shampoo flow, and move the equipment backward across the rug. Make sure you lift up the handle a little bit, so the machine's brush will go down deeper into the rug's fibers. When the water in the shampooer starts to trickle very slowly and disappear, it's now time to re-fill it with clean water again. 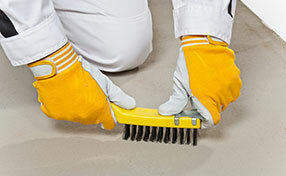 For proper carpet stain removal, slowly pull the shampooer backward all over the rug. For tougher stains and blots, make sure you run the shampooer repeatedly over the area, and then allow it to dry overnight. Make sure the rug is fully dry before you start walking, or lying down on it.